Home / Roofing / Roof Matters, Part 1: Why Replace Your Old One? 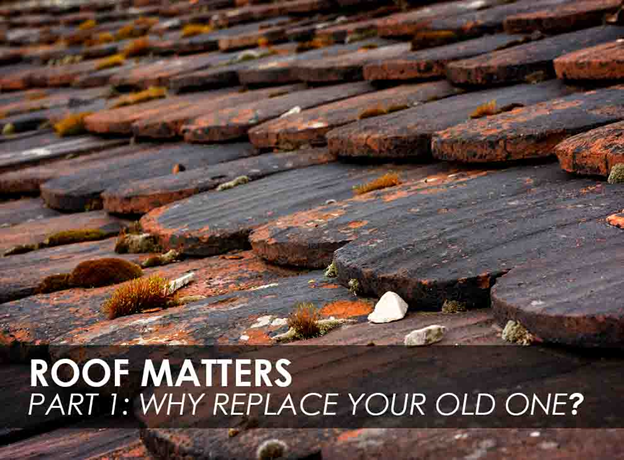 Roof Matters, Part 1: Why Replace Your Old One? A new roof helps restore the structural integrity of your home. You can settle for a roof repair in Knoxville, TN, to fix minor issues, but major problems merit a completely new system. Your old roof may still look good, but the case maybe different upon closer inspection. Generally, the amount of deterioration in aging roofing systems can pose a threat to your family’s safety. One rough weather condition could cause your roof to collapse, leaving your home exposed to the elements. With a proper roof replacement, your home can face any weather condition all year long. Most old roofs can’t hide their age. Visible signs of wear can be a blow to your home’s curb appeal. Repairs can solve cosmetic damage, but if your roof has a large damaged area, it will need a complete facelift. A replacement is the best way to restore and preserve the lost beauty of your home. Apart from installing a newly minted system, a reputable roofing company in Knoxville, TN, would also provide you a warranty along with the service. This way, you’d know your new roof would be free from material defects and aesthetic imperfections for the years to come. A roof replacement is one of the best energy-saving home improvements. A new roofing system is leak-free and properly ventilated. The right material can also help weatherize and insulate your interior. Your savings would be significant when they add up in the long run. Replacing your old roof can certainly increase your property’s value and make your home feel more comfortable. Stay tuned for the second installment to learn more about our roofing materials. For quality residential or commercial roofing in Knoxville, TN, call Innovative Roofing and Siding today at (865) 444-6070. Our team will be happy to assist you.